Wow a massage and pedicure! You know how to live girl. 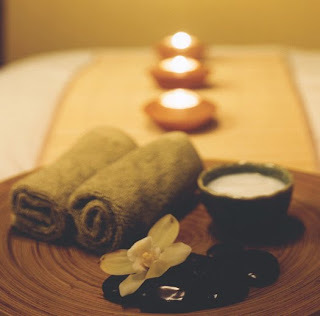 Oh, a massage sounds wonderful!! Bless your little heart, trying to get some relaxation and had to deal with frustration:( Sounds like it turned out very well even though it got off to a rocky start! I do not watch movies that make me cry, I don't like to cry so I avoid it always! Anyway, I am happy that you are busy knitting and reading, more relaxation:) Hugs to you my dear Friend! That sounds like a great day! Yay for you- most people wont pamper themselves! Also, I'm a total crybaby when it comes to watching movies. Always have been. I think that's what makes film great- it allows us to identify with the circumstances of someone else. I'm glad you got to be pampered. I would've been angry, too! 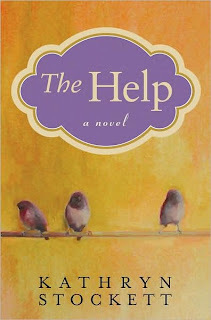 I've never been to a spa, never knit Ishbel (although I did knit Damson), never read The Help or saw Waitress! You might think I'm boring! Mmm... pedicure. What a great idea. I'll get one as soon as I don't have to wear socks and shoes/boots anymore. Too bad about the massage mix-up. Kind of defeats the purpose of getting a massage when you're so irritated by the time you get in there! I could use a massage myself; I'm incredibly frustrated with my laptop. Still not working... sigh. I loved Waitress. I think I watched in on the plane. I know Nathan Fillion's father; he used to teach at my school and still drops by to visit. Oh I am so the girl who cries during movies, just thinking about The Notebook makes me tear up just a touch... I don't blame you at all for getting upset about mixed up time and pedicures but just imagine...sandal weather... and cute skirts..and sunshine...outdoor cafes...summer...I'm ready! I need a pedicure. STAT! I think next weekend I will treat myself to one. I LOVE getting a good pedicure! Can't think of the last time I had a massage - I think I need one. Glad your Pampered time turnout perfect :) That sounds so wonderful. It's been Years since I had a massage..hmmm maybe for my birthday. I think I'll start my ATC cards this week. I'm glad you're enjoying The Help -- as you know, I loved it! 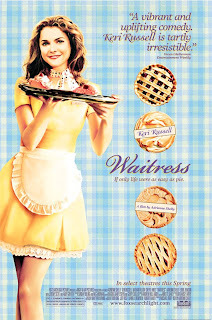 I need to watch The Waitress again -- I remember liking it, but can't remember much else about it. Movies make me cry ALL the time -- more so, the older I get! glad your massage turned out to be magical after the looong wait. LOL! I always cry at movies too. Thanks for another book recommendation, I'm going to see if its available. Glad the relaxation treat worked in the end. You're doing so much knitting at the moment, its great to see.